With our highly cost-effective IT Services & Telecoms Products – backed by 100% customer support, Lansafe is your Number One local communications provider. Lansafe are a business I.T & security solutions specialists, our services cover a wide range of areas including, I.T, security, network installations, telecoms, WIFI, and hosted voice and data solutions. 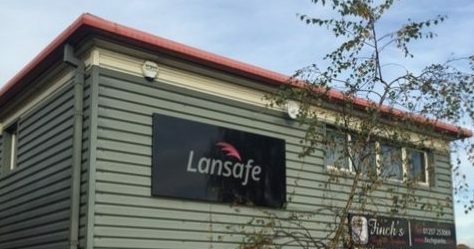 Based across the North West of England, Lansafe is a preferred supplier for small and medium sized business owners and your one stop solutions provider for all your I.T, security & communication needs. Our company was established 2004 with the sole ambition to provide the UK SME business community with the latest mobile voice & data. As we our client base grew, we recognised the opportunity to incorporate Telecommunications and Network Installations into our product portfolio. This enabled us to provide a one stop solution for all business communications; we believe, we succeeded. The directors of Lansafe have time served experience in one or more of these fields enabling us to offer professional expertise based on our own personal individual knowledge and experience. This is how we offer such a diverse service, covering every aspect of business communication. Our customers get fast responses to critical issues, unlimited technical phone support and the peace of mind that their communications are being looked after by locally-based UK experts. Lansafe Ltd has now forged closed relationships with leading manufacturers and network providers enabling us to trade with key products in the I.T, Security and Communications industry. For total account management, total commitment and one solution, choose Lansafe to handle your business technology services today. For total account management, total commitment, and one solution, choose Lansafe to handle your business communications today.